Gold prices in India swung to a discount to the global benchmark this week for the first time since mid-July as a weak monsoon dampened demand in the world\'s second-biggest consumer. Gold prices in India swung to a discount to the global benchmark this week for the first time since mid-July as a weak monsoon dampened demand in the world's second-biggest consumer. Dealers offered discounts of 50 cents to $4 an ounce, compared to premiums of 70 cents to $1.50 last week. In July, prices fell to a discount of $15 due to tepid demand. India's monsoon rains are likely to be below the prior forecast of 88 per cent of the long-term average, which could make it the driest year since 2009 and worsen rural distress by cutting farm output. 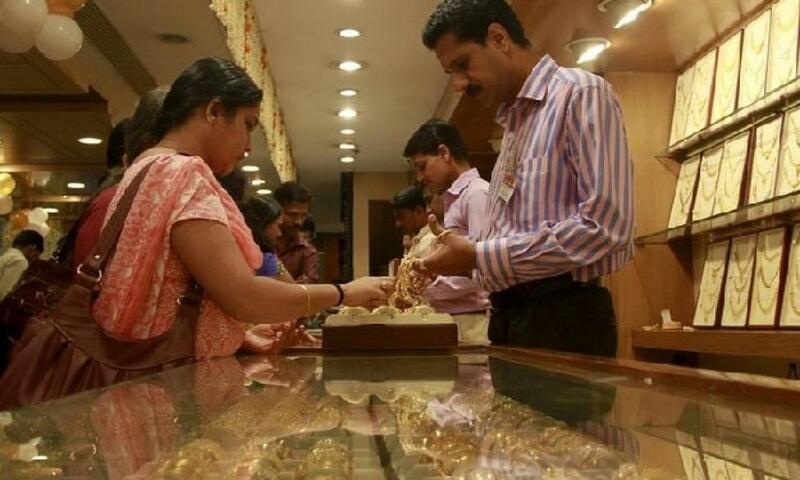 Two-thirds of gold demand in India comes from rural areas where jewellery is a traditional store of wealth. "There are concerns over demand from rural areas due to poor rainfall," said Kumar Jain, vice-president of the Mumbai Jewellers Association. "Even in urban areas demand is modest. Many customers are waiting for prices to come down to July levels," Jain said. Gold prices in India hit their lowest level in four years in late July, following a sharp drop in global prices, but they have rebounded nearly 8 per cent as of Friday. "Anticipating higher demand at lower levels, everyone imported aggressively last month. But demand wasn't that strong," said a Mumbai-based bank dealer. "Now they are struggling to clear stocks." In other parts of Asia, demand remained tepid with markets in No. 1 consumer China closed on Thursday and Friday for public holidays. In Hong Kong, premiums were largely unchanged between 90 cents and $1.30 an ounce. In Tokyo, prices have been at a discount of about 50 cents for last three weeks, dealers said. "In our retail store, we are not seeing significant buying interest. Some customers are selling gold back to us," said a Japanese trader. Other data also showed weakness in the physical markets. Gold sales at the Perth Mint dipped in August from a nine-month high in the previous month as prices recovered from a 5-1/2-year low hit in July.